An infestation of head lice is difficult to deal with on many levels. It takes a lot of time and patience to get rid of the lice and nits (lice eggs) on your own. You may be embarrassed that this has happened to your family. However, you don’t have to be. 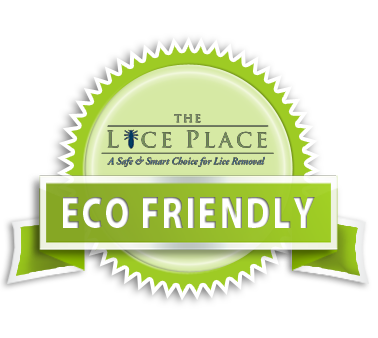 The Lice Place provides personal, confidential service and guaranteed Austin Lice Removal. As the only lice removal company in the United States owned and operated by a registered nurse, we use only 100% safe and effective products to meet your family’s needs in this sensitive area. The first step is to inspect the heads of everyone in the family in a private treatment room. Often, a lice infestation is misdiagnosed and what appear to be lice are actually specks of dirt, dandruff or hairspray residue. If lice and nits are present, The Lice Place technicians use all-natural and pesticide-free products in one treatment that is effective and painless. Education is an important part of our business well. We help you ensure your family is presented with preventive measures for all adults and children in your home, including a full line of products in a shampoo, conditioner, mousse and a mint spray that are made with essential oils and that lice find distasteful. Trust your family to our expert, professional staff at The Lice Place. Contact us at 512-520-8360 for a free initial phone consultation or to schedule your appointment today for Austin, TX Lice Removal.